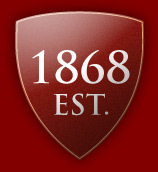 Now in the fifth generation, we are a succesful family firm founded in Cullompton in 1868. Originally a Building company, the supply of materials was always a part of the business. This part increased in the 1970's when the current premises of Palmer's Bridge were developed, and the two businesses were separated in 1991. Labdon Building Supplies now offers a broad range of materials to both Trade and DIY customers, backed by years of building experience.